Does Any SEO Software Actually Get Real Results? Now, I know what you’re asking here, but rather than directly address your question I’m going to go about it in a circuitous way. There are all sorts of pieces of software out there available for the purposes of SEO improvement. Do they work? I categorize tools in three broad labels, though there’s a lot of crossover between them. The top-end category are tools like Buffer, Hootsuite, or Google Analytics. They’re firmly useful tools, but they don’t do anything to your SEO directly. Instead, they help you determine what your SEO strategy needs to bring your site from where it is to a higher level. From there, you need to take actions appropriate to your new plan. The mid-tier category is tools that automate processes for you. Tools like Screaming Frog, Scrapebox, or Mass Planner before it died. These are tools that generally take a single process, like scraping data from a website, and automate it extremely quickly. They can be useful, but they can also be abused, and that can be a dangerous thing to do. The third category is the firmly black hat tools. Tools like The Best Spinner, Market Samurai, and SeNukeTNG. These are tools that take a black hat technique, generally some kind of comment spam or automated link building, and blast it to the rate of hundreds of links per minute. They’re firmly in the dangerous and detrimental category, and can be harmful to use. So if these black hat tools are so bad for your site, why do they exist? How do they keep selling, keep updating, and keep destroying sites? The fact is, and this may come as a surprise to some people out there, black hat techniques work. They work very well, in fact. If you need backlinks to your site, using a tool that spams out thousands of them per day will certainly get you links. The thing is, it’s a quantity over quality scenario. You may be getting 10,000 links, but 9,500 of them are trash. They don’t do anything for you. They’re nofollowed, they’re obvious spam, they’re filtered, or they’re on sites that give you no PageRank. The thing is, that leaves 500 links that DO give you some value, even if it’s a minor amount of value. Google fights techniques like that. When they see a wave of link spam like that, they penalize the site using the technique. If you keep it up, if you leave things along, your site is slapped down back to square one or completely deindexed, depending on how petty Google is feeling that day. This is what leads to the usual “peaks and valleys” effect of black hat SEO. You start at zero, you jump up to 100 in a matter of days or weeks, then you’re slapped back down. You might end up back at zero, or you end up at 5, or you end up at -10, but regardless, you’ve spend a lot of time and energy getting temporary effects and losing them. The usual black hat cycle is to simply repeat this. You make a site, you rank that site very quickly and get a week, a month, or whatever’s worth of value out of it, then it gets slapped down and you drop it. 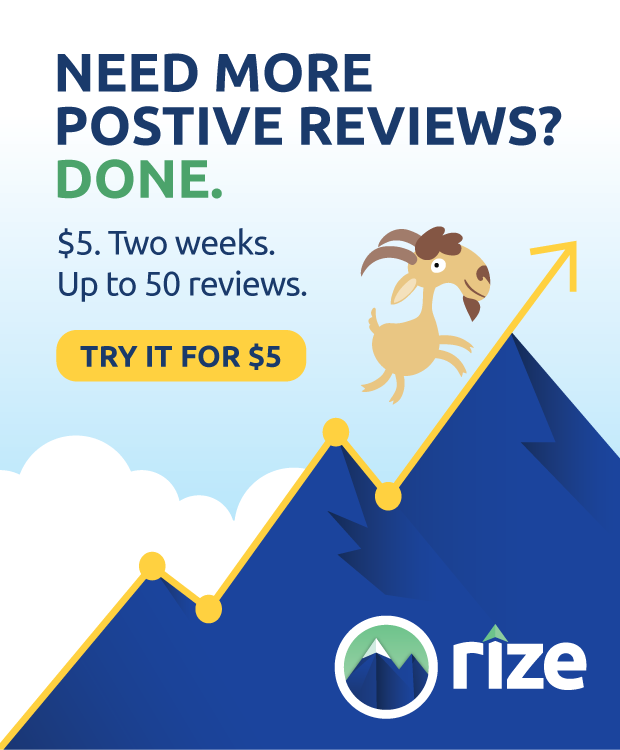 Maybe you sell the site, maybe you just abandon it. Then you start up another site and do the same thing. Many black hats have a dozen sites going at a time, because no one of them will provide consistent income, but enough at a time will keep some level of consistency. Smarter black hats ride the wave and then disavow their previous actions. Imagine this scenario: you’re a white hat marketer struggling to build links. One day you check your analytics and see hundreds of new links coming in from spammy blog comments and low quality blogs. This is obviously a negative SEO attack, and while negative SEO attacks aren’t generally a problem, you still want to do something about it. So you do a link audit and figure out which links are useful out of your entire backlink profile, and disavow the rest. You’re left with good links – possibly including a few that weren’t there before – and your ranking has improved. Google sees that you were a victim and that you took the appropriate steps to fix the issue. You might have a little less trust than before, but as long as they don’t find anything else fishy with your site – like spun or stolen content – you’re probably fine. Now imagine the same scenario, done intentionally. Google doesn’t have access to your internal processes. When a negative SEO attack like that happens, Google can’t tell whether you initiated it or someone else did. The only sign they might have is if it happens to five businesses out of six in a niche – the one that wasn’t hit might be the perpetrator. They won’t take action on such a supposition, however. So what if you’re the one using a black hat tool to blast your own site? You’re aware of the potential penalties, the loss of ranking, the work involved in cleaning up the links afterwards. You set this tool to blast your site with 10,000 links, knowing that 9,500 of them will be bad links, and you’re ready. You leap into action, auditing your links, finding those 9,500 and a few more for good measure, and you disavow them. 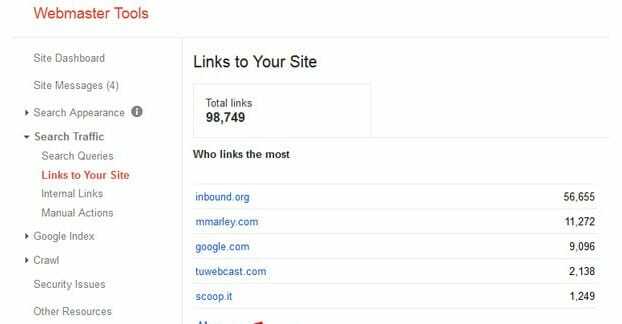 Those links disappear, and your site is left with the same links it had before, plus 500 new minorly-valuable links giving you a little bit of a boost. This is the kind of technique savvy black hat marketers use to jumpstart a website without then tanking it. They ride the wave up on the 0 to 100 train with black hat tools, and then before the crash happens, they disavow their previous actions and start using a white hat strategy. Using tools like SEnuke or XRumer is pretty perilous. You can have some pretty good results if you know how to use them, you know what the limits are, and you know how to undo the damage they can do before it demolishes any value you had. The trouble is, a lot of people don’t know any of that. 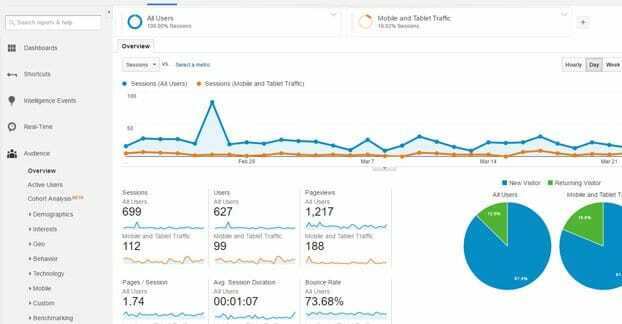 They buy these tools thinking it’ll be a one-stop shop for SEO, that they can run it each day and get excellent results without having to think about it. Risk #1 is that you can easily lose any value you got from the tools simply by letting them keep running longer than you should. 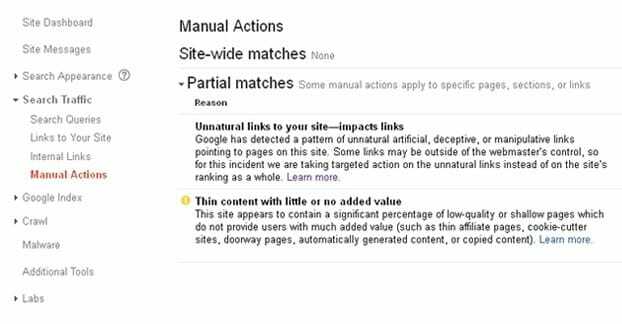 Sooner or later Google WILL detect that you’re using a black hat tool and they will penalize your site. Depending on the tool, the utilization level, the other steps you’ve taken, and what techniques the tool is using, the penalty might be minor or it might as well be deleting your site. It’s not like any of these tools are especially hidden. They show up in Google searches, which by definition means Google knows about them. If you think Google has any qualms about spending a few bucks out of their trillions to buy a tool and run it to see what it does, you’re wrong. They will happily reverse-engineer everything a tool does so they can better find and penalize people exploiting it. Risk #2 is that you might think it’s a good idea to pick up one of these tools to use on a site that’s doing fine on its own. Sure, it can accelerate your growth, if you’re careful with using it. On the other hand, it might be a quick way to destroy what you’ve built over the last year or more. White hat SEO takes a long time to build. The urge to find a shortcut is always there, always tempting. The typical metaphor of making a deal with the devil is incredibly appropriate here. It can and will backfire on you, and you have to be able to handle the fallout. If you’re reliant on one site for your business, using a black hat tool is not the way to win. If you’re in a business that builds and abandons sites at the drop of a hat, you can get away with it. A bird losing a wing is going to die; a centipede losing a leg will just keep crawling. Risk #3 is purely monetary. To get all the features of SEnukeTNG, you have to pay nearly $150 per month. XRumer is $240 for a full version of the software. 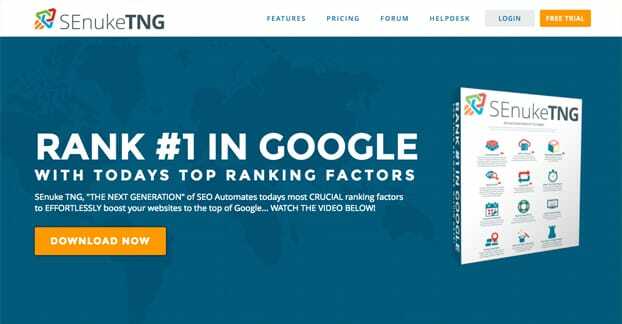 GSA Search Engine Ranker is $100. RankWyz can run you anywhere from $30 to $1,000 per month, depending on the scale of your operation. Can you afford to spend that much money on a tool that can have just as much, if not more, of a chance of hurting your profits at the end of the day? Is that a risk you’re willing or able to take? 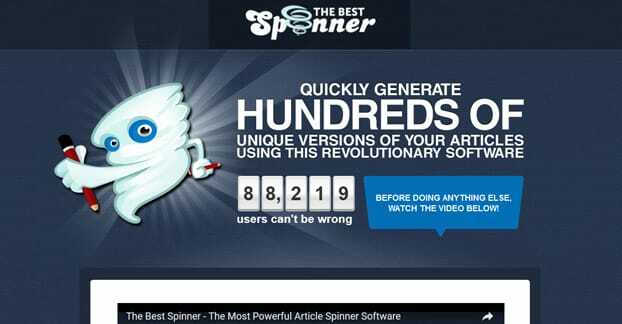 One tool that comes up in some of these lists that I haven’t mention is The Best Spinner, and other tools like it. These tools take content, spin it using spintax thesauruses, and generate “articles” for you to post on your network of sites. 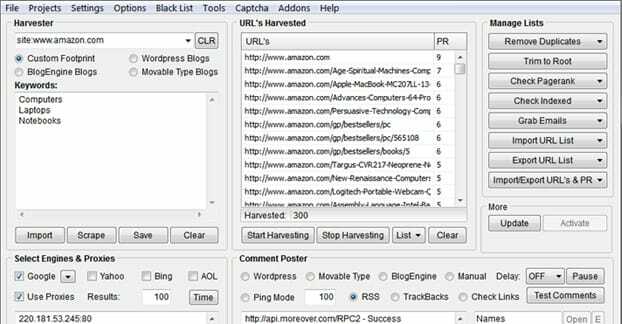 These tools are used for another form of black hat marketing, which involves private blog networks. This is at once a more stable means of growing sites, and also more dangerous. The idea is that you create a dozen or more blogs on URLs that don’t really matter. The sites aren’t designed to rank, they’re just designed to look basically legitimate. You might make 25 blogs based around fashion with names like expert-fashion-designs or worldsbesttopfashions. You set them up on basic free WordPress hosting, or as cheap as you can possibly run them. You don’t care about things like analytics, social plugins, or what have you, beyond just using them to make the sites look more legitimate. In order to populate these sites with content, you just go out and find existing fashion blogs and steal their content. However, since directly copied content is incredibly easy to detect and will get your site deindexed very quickly, you run it through a spinner. A spinner changes the wording of the content but doesn’t add value. Spun content is often slightly off-putting, like an uncanny valley effect for the written word. It might look like ESL writing, or it might be perfectly fine. It’s just not innovative or valuable in much of any way, and that’s fine, because you don’t care. The entire purpose of these blogs is to deliver links to the sites you actually want to rank. Since the spun sites aren’t obviously spam, they have a tiny bit of value, which they can pass along. Your main site gets that value, and can use it to rank. Google hates private blog networks. They kill off the networks and penalize sites that use them. Google also hates spun content and can hurt sites that use it as well. Again, Google has no qualms about buying and reverse-engineering these tools to better detect their results. Also, as someone who strives to write original content, do original work, and produce value for my audience, article spinners are a personal assault. They are a slap in the face, and I won’t stand for it. As far as I’m concerned, anyone who uses them deserves to have every site they ever make destroyed. That’s one black hat technique you should never use. It “works” in the sense that the content is spun, but that doesn’t make it useful or valuable in any way. Just don’t do it.